In 2018, I am planning to use my blog to highlight some important trends in the wider culture and specifically in the world of apologetics. One important trend, that I thought would be important to start the year with, is the explosion of interest in apologetics among women. Marilyn Tyner is on the front lines of this movement. She recently answered some of my questions about this new trend, the upcoming “Women in Apologetics” conference at Biola, and her personal ministry. Enjoy! 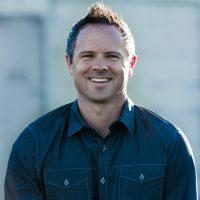 SEAN MCDOWELL: There seems to be a significant growth in women doing apologetics. Why do you think this is the case? TYNER: Christian women today are catching a vision for the importance, and even excitement, of apologetics. In fact, I see a wave of enthusiasm rising to meet new and increasing challenges to the Christian faith—all part of the spiritual battle for souls. Women seem to be bringing a new dimension of grace and humility into the realm of apologetics. And they’re recognizing the high calling of sharing the Gospel, defending the faith, and helping unbelievers advance to the cross! Another reason for this movement is that, until recently, most Christian women were unfamiliar with the term “apologetics” and unaware that in Christian theology, apologetics is a branch of evangelism. This definition has stimulated the interest of women because Jesus extended the Great Commission to all His followers. So women—not just men—are called to be evangelists and apologists. MCDOWELL: I see that you’re speaking at the upcoming "Women In Apologetics" conference at Biola. Can you tell me some about the conference and why you think it is important? TYNER: The WIA conference is important because its goal is to equip women in apologetics and encourage them to develop an “evidential faith” in today’s spiritually mixed-up world. Then, for example, if unbelievers ask us why we’re so sure Christianity is the one true religion, we can reply with confidence and evidence. And since truth is on the side of biblical Christianity, there will always be good reasons and evidence to share. The theme of this event, to be held January 19–20, 2018, at Biola University in La Mirada, CA, is “Love God with All Your Mind” (based on Matthew 22:37–38). Jesus told us, “You shall love the Lord your God with all your heart, with all your soul, and with all your mind” (v. 37 NKJV, emphasis mine). Thus, as devoted Christian women, we don’t want to neglect any part of this first and great commandment—but rather love God with everything we have. Our four main speakers are true educators who are passionate about Jesus Christ and apologetics. And our twelve breakout-session speakers will cover a variety of topics. Actually, I’m thrilled about my topic (“Evidence for the Resurrection”) because it’s the top apologetic for the Christian faith and it naturally leads to sharing the Gospel! A special feature at this conference is a program for children in third to sixth grade, called WIA Kids, and they will focus on what the Bible says about truth. Tickets and registration are available through the conference website: https://www.biola.edu/events/2018/women-in-apologetics-conference. MCDOWELL: Are there unique questions or issues that women tend to address in comparison to men? TYNER: Yes…. Many moms, for example, are getting equipped in popular apologetics as well as apologetics for children (e.g., through books by Natasha Crain, Melissa Cain Travis, and Lee Strobel). These moms are helping their children grow in the faith, and are preparing them for challenges they’ll face due to the anti-Christian bias in our culture and public classrooms. Not counting youth pastors, women seem to play a more significant role than men in whether kids learn how to defend their faith. Examples include women teaching apologetics to home schoolers and writing Sunday school curriculum. And on the more creative side, some of us are incorporating apologetics in songs, skits, devotionals, and parables. So as moms and teachers, we need to be intentional about modeling lives committed to Christ, and learning to articulate both what and why we believe. In this predominantly male field, Christian women often ask how they might do apologetics too. Then some of them seek God as to whether He’s calling them to use their spiritual gifts in an apologetics ministry. Here are some specialty areas within apologetics: philosophy (including worldviews, truth and relativism), archaeology, cultural issues, science, apologetics to Islam, religious apologetics (cults and the occult), apologetics using imagination, and apologetics for children. MCDOWELL: How does your background as a Litigation Paralegal shape the way you approach apologetics? TYNER: As a paralegal in the trial department of a large law firm years ago, I enjoyed gathering facts and evidence in support of our clients’ cases in the discovery stage of a lawsuit. The hours I spent interviewing witnesses, uncovering facts, and digesting deposition transcriptions for attorneys to use in trial often led to a courtroom victory. Later, I found myself in a personal quest for truth and meaning in life. When I began attending a Bible study, the Scriptures and worship music flooded my soul. Yet I had intellectual questions like, “Is the Bible really the Word of God?” If I was going to give my whole life to God, I sincerely needed evidence. Thankfully, I not only discovered sufficient evidence, I also had an encounter with the living God—who called me to Bible college and to a Christian graduate school to pursue an apologetics degree. As an apologist today, I see some of the ways in which my paralegal background shaped the way I approach apologetics. When writing blogs and briefs, I use analytical and digesting skills. When answering unbelievers’ questions, I offer facts and evidence carefully. In a “skeptic’s courtroom,” I endeavor to present the case for Christianity with carefulness. And all along the way, I enjoy researching and citing the highest book of authority—the Holy Bible—which brings glorious victories in Christ. MCDOWELL: What is unique about your ministry, including the blog and tracts? TYNER: God has graciously given me two ministries. The theme of my apologetics blog ministry at POWApologetics.com is to promote the Gospel, defend the faith, and help unbelievers (spiritual POW’s) advance to the cross. This “POW” blog equips Christians with user-friendly apologetics to share with unbelievers immersed in today’s battle of ideas. It also appeals to searchers and skeptics who are pursuing truth in our world of spiritual potpourri and postmodern confusion. The blog posts present apologetics in unique and usable ways. For example, some are in the form of insightful God-conversations I’ve had myself. Others convey apologetics through parables and pictorial illustrations. My latest post was a “hypothetical letter from a Christian to an unsaved friend” who shared resurrection apologetics in a conversational tone, which readers could then use in their own witnessing situations. The theme of my tract ministry at TrueWayTracts.com is “Advancing God’s Kingdom through Literature Evangelism.” I’ve written numerous gospel tracts and apologetics briefs (evidential pamphlets), as tools for evangelism and education. They are unique in their generous size and presentation, and some are available as free downloads. A featured item is the “Apologetics 10-Pack”—a set of ten colorful briefs that answer questions such as “How Can We Know If God Exists?” Also presented is my apologetic-devotional book, Awesom-Azing God—which I’m blessed to say is endorsed by Josh McDowell and others. Praise be to God…. This TWT ministry has steadily grown over the last few years, so that now we distribute thousands of evangelistic pamphlets all over the world annually—for such a time as this.